Yandex browser is an alternative to google chrome, microsoft internet explorer, opera and firefox. Data from other browsers, you can in a few simple steps to import. Anonymous browsing in separate incognito window is just as possible as the save of the gradient and the management of favorite sites in the bookmark manager. In addition, the program offers other functions such as the by the kaspersky lab performed a virus scan, or a fast loading of web pages due to the turbo mode. 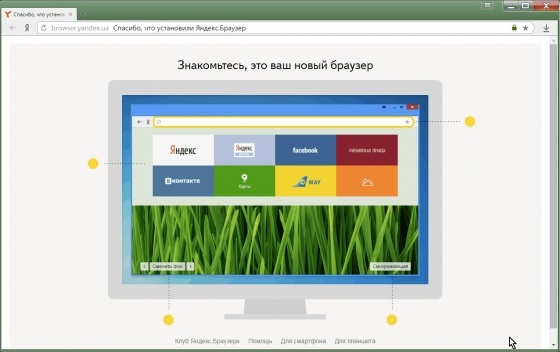 You can free download Yandex Browser latest full version from LoadSafeSoft.